How Do You Like the Henry Milker ? Last month, we gave away a couple of Henry Milkers just for the heck of it. 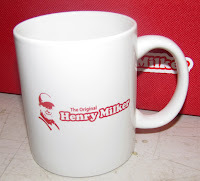 Now we're starting a contest for FREE gift certificates in the Henry Milker Store worth $100, $50 and $25. It's as good as cash, you can use it toward Henry Milkers for your friends, Scratch n All pads or other of our 35 goat care products in our store. Entering is simple, just email us your 2-3 sentence positive comment about the Henry Milker or leave a comment in the comment section of this blog below. You can participate and win even if you do not own a Henry Milker yet. Just tell us what you think or what you have heard about this easy-to-use goat milking machine. If you want to double your chances, add a comment on your Facebook page about the Henry Milker. Let us know! Although i no longer have goats (just a herdful of grandkids now) if there's anything I miss about having goats is milking them with my handy dandy Henry Milker! That was money well spent. I always looked forward to seeing that beautiful white milki running through the hose & into the Mason jar! I so happy for you and how fast your business is growing! God bless & Happy Easter! No more hooves in the milk bucket! Yee-haw! My kids can help out now and milk with the Henry Milker! I heard from a friend that it is super easy and quick to milk your goats with the Henry Milker. I would love to win one of the certificates so that I can get one for myself! I just recently purchased my first goat and she has never been hand milked before. I purchased a Henry milker before I got her and I am so glad I did. She is calm to milk as long as I use the Henry Milker, but when I try to hand milk her she jumps around, and I can totally understand why the hooves would definately end up in the milk bucket. Thankyou for making my life and the life of my goat a whole lot better. We are new to goat ownership and have been hand milking our Nigerian minis. We recently purchased a freshened nubian and will be starting to milk her in about another week. I was diagnosed with rheumatoid arthritis and can not milk by hand for the extended period of time that they require. I am so excited to find the Henry Milker at a doable price and with excellent reviews! I am hopeful that with the help of a milker we can continue to use our raw goats milk as a treatment for my RA. Now to decide which model! Everybody who owns goats NEEDS one of these brilliant little milkers. Its so simple to use, my 5 year old can do it! And the best thing is, it keeps the milk free of debris. Thank you Henry Milker for making my life easier. And from a mother of three, with a herd of several dozen goats, thats quite an accomplishment. BLESS YOU!!! And just to say thanks, I recommend a Henry Milker to every person who buys a goat from my farm. And to no great surprise, they usually thank me for it. It is fast, it is great, and it is easy to clean. Enough said. Get one! I just learned about the Henry Milker from the Totally Natural Goats group on Facebook. My three goats will freshen in a few days and I am looking for a milker for my family to use when I have to go out of town. This looks like just what I have been wanting - something they can use that is easy, fast, and cleans up quickly. Plus, as a fellow Alaskan, I love that it's made in Alaska! I just entered a raffle and won an Alpine doeling that will be coming home in a few weeks. I'm excited and nervous, since I've never had a dairy goat before (I raise sheep). I've been wondering how I'll handle milking; your Milker may be just the thing! We're looking into getting a milking Dexter cow, so I'm really eyeing your Henry II. We've got a sweet new goat in milk and hope to have dexter cows and a couple more goats to milk in the future. The kids want to help milk and I'm a newbie myself. I would love to make sure the milk is gotten comfortably, efficiently and with less debris. Thanks for the give aways!! We just got our Henry Milker 2 yesterday. We couldn't wait for milking time last night and this morning the kids were fighting over who "gets" to milk. All of our goats like the milker and production was up this morning for whatever reason, but we are certainly glad to have our Henry Milker 2! I'm posting about our new milker on facebook!!! the Henry Milker isn't JUST for goats! i got one for our Jersey milk cow and we love it! no more stomping hooves and swishing tails at the flies to put debris in the milk. :) and if you have ANY problems or questions, Mr.Henry is a wonderful seller and helps above and beyond what is the norm. :) thank you! The Henry Milker is such a fun and easy way to milk goats!! No more tired hands! No more hooves in the bucket! !